Star Alliance, Oneworld, SkyTeam, Air Italy or Emirates? Today is a rare day where you can take your pick between amazing airlines, direct flights or connections to earn extra points. Every airline wants to control the market from Milan to the USA, and thanks to one airline “going low” on price, every airline is now offering fantastic deals worth booking… and fast! Air Italy may have started it, but now almost every airline is in. 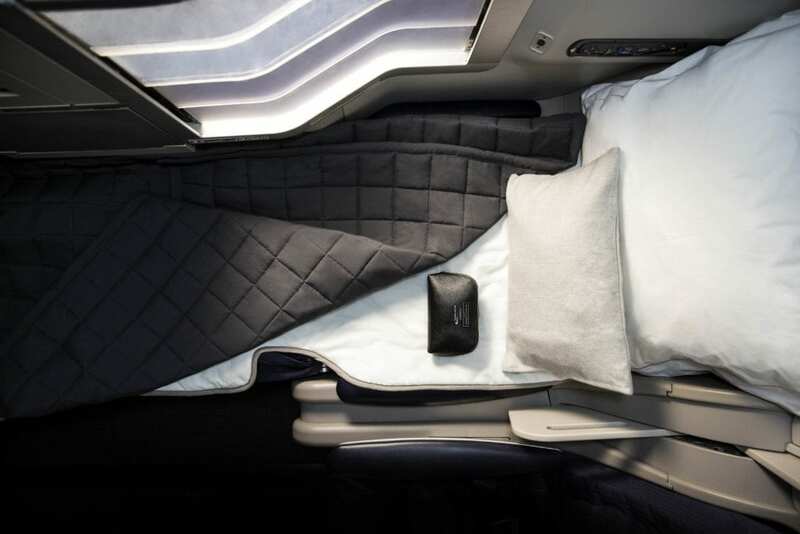 There are deals from Milan to New York in business class starting at a mere £1000 ($1300) round trip on Star Alliance, SkyTeam or Oneworld. Rome is just about $100 more. If Emirates is your game, there are deals for $1500, but those require two people to book. On the upside, you get the a380 and an onboard bar, which is amazing. Consider this an early Valentines day present to yourself, or if you’re really generous to a loved one. Hot tip: it can totally be worth redeeming points or finding a cheap flight to reach Milan or Rome, since the savings will still likely be in the hundreds, if not thousands. Emirates: these deals are bookable directly with Emirates and require two passengers. You need to depart Milan and stay in New York for at least four nights to get the lowest price. The deals are valid for travel up until November 30th, 2019. You must book this week, though they can be pulled at any time. Book with Emirates here. Oneworld: The Oneworld deals are available in March, April and early May and then return again in November and early December. These deals are bookable directly with British Airways and require at least a five night stay to get the lowest prices. You can do direct on American or connect via London or Spain. Shorter stays are just a bit more. Book with BA here. Sky Team: Sky Team is matching Oneworld availability, with both direct and connecting options via Delta or Alitalia. You can travel in March, April and early May and then the deals are back again in November and December. You need to stay at least four nights in NYC to get the best prices. Book on Google Flights here. Star Alliance: Star Alliance is also running the exact same deal, with most flights taking place on Swiss via Zurich. These deals require at least a three night stay in NYC to bring the lowest prices out. These fares are about $50 higher than the other alliances. You can book direct with Swiss here. Other Cities: Air Italy has deals from both Milan and Rome. These deals are available from now until mid June, which gives options even on peak summer travel dates. These deals don’t have any minimum stay, which means you can jet off to NYC even for a short amount of time at these great prices. First of all, I can’t believe that have never made to this site before! I love the name, classic! Secondly, dang the routes. I am looking to catch a haul the other way from the US to anywhere that’s business or first class for 1k. I travel a ton but I never catch these incredible deals! Great post, love the name of the site – new follower!